Maghull L31 Deep Carpet & Rug Cleaning Services | Quality Property Care Ltd.
You can get in touch with us at 0151 673 0008 where our staff eagerly awaits your call. Get in touch with our expert company and learn more about some other benefits of the service as well as how you can save time and money with Quality Property Care Ltd. domestic and commercial rug and carpet cleaning service in Maghull L31. The most powerful deep cleaning for rugs and carpets is the wet deep carpet cleaning or the hot water extraction carpet cleaning from Quality Property Care Ltd.. It involves pre-treatment of the rug by hoovering with professional vacuum cleaners, and then carpet spot and stain removal, followed by the steam carpet cleaning. The trained cleaners do a high quality shampoo carpet cleaning, using certified and safe cleaning solutions, which will not harm you, your children or your pets. The rug or carpet will have as much of the water extracted from it, so it will require only 2 hours to fully dry off. If you get it, the cleaners can do a very nice deodorising of your rugs and carpets for an added clean and fresh effect. 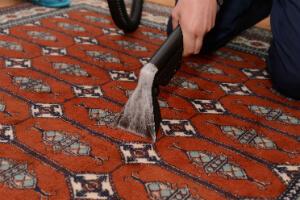 There are some rugs and carpets that can't safely be cleaned with water, so the cleaners will provide a safe and very efficient dry foam carpet cleaning. The exclusive and perfectly safe foam is sprayed and rubbed into the rug or carpet, and after it has done its cleaning work, it is extracted with the suitable vacuum cleaners and tools. The same can be done with your mattresses, curtains or blinds and draperies. Dry carpet cleaning needs no drying time, so you can step on your carpet or rug immediately after the cleaners are done. Meet Quality Property Care Ltd. - the supreme professional rug cleaning company with TEN years of experience in the field and with various treatments for carpet spot and stain removal. Our reputable carpet cleaning business in Maghull L31 has adopted the general standards in rug and carpet hygiene maintenance. However, in addition to these, we usually tend to progress and advance. Contact us to get a booking for our carpet cleaning service in Maghull L31 now! 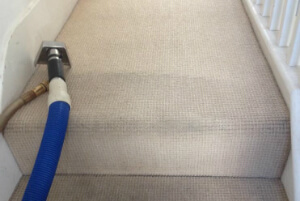 Steam carpet cleaning: hot water extraction method with maximum result on bacteria and dust inside the fibers. The procedure is ideal for manufactured elements. We’ve made an effort to be in a position to properly clean a huge range of rug and carpet kinds in order to take care of the cleaning requires of all potential customers. Not only that but we’ve also been capable to widen our catalog of stain specialization allowing us to further guarantee your 100 % fulfillment. In terms of fiber kinds for carpets we can clean synthetic, natural and organic fibers like linen, cotton, wool,, suede, silk, viscose, flush, chenille, acrylic and quite a lot more. Book anytime by dialling 0151 673 0008 or submitting a booking form on our website. Get in touch with us with no hidden fees and any commitments.